There are many places in Italy with fabulous scenery. There are numerous villas, castles, hotels and country estates that welcome guests from all over the world to fully enjoy the country’s cultural and natural heritage. 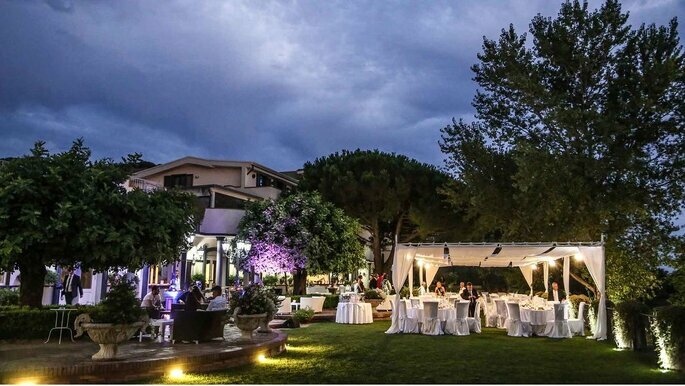 But the place we think is most special is Villa Andrea di Isernia, a magical venue nestled among lava rocks of striking beauty, overlooking the wonders of the Gulf of Naples. 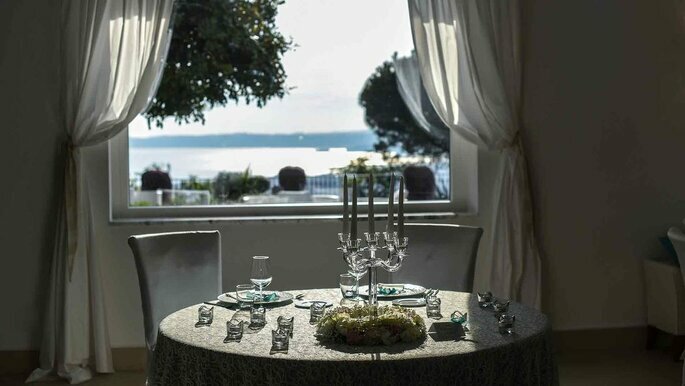 The panoramic vistas of Naples, from the Lungomare to the Castel dell’Ovo, from Capri to the Sorrento Peninsula, offer an incomparable landscape that can be the perfect setting for your unforgettable wedding reception. 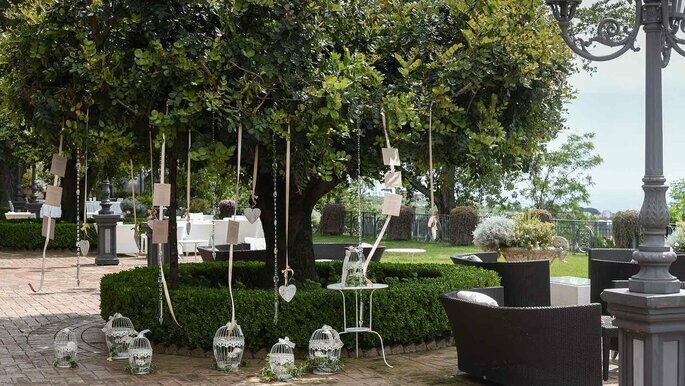 Let yourself be inspired by the exclusive spaces that this charming villa, in the province of Ercolano, offers to couples from all over the world. 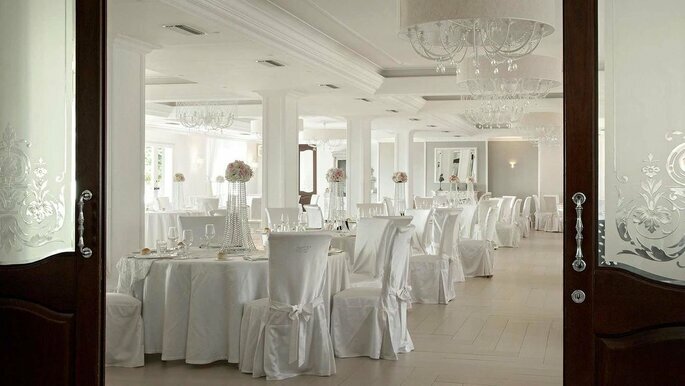 Imagine a dreamy atmospheres under the clear sky of the Mediterranean, as you say your vows and dance the night away. 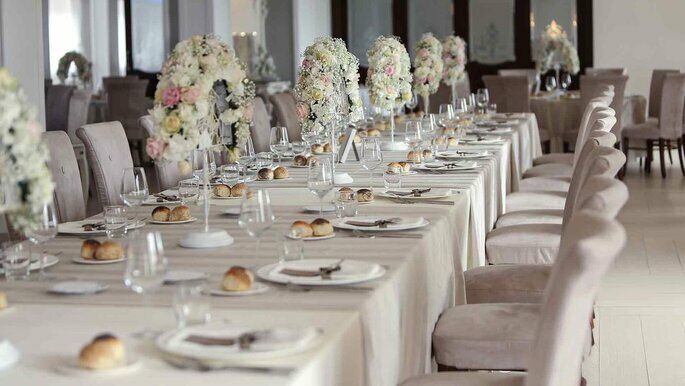 There is also the option of having your wedding banquets in one of the venue’s exclusive and elegantly furnished event rooms. Outside you’ll find a huge green park dotted with palms and acacias, a fusion between traditional Italian and English gardens. 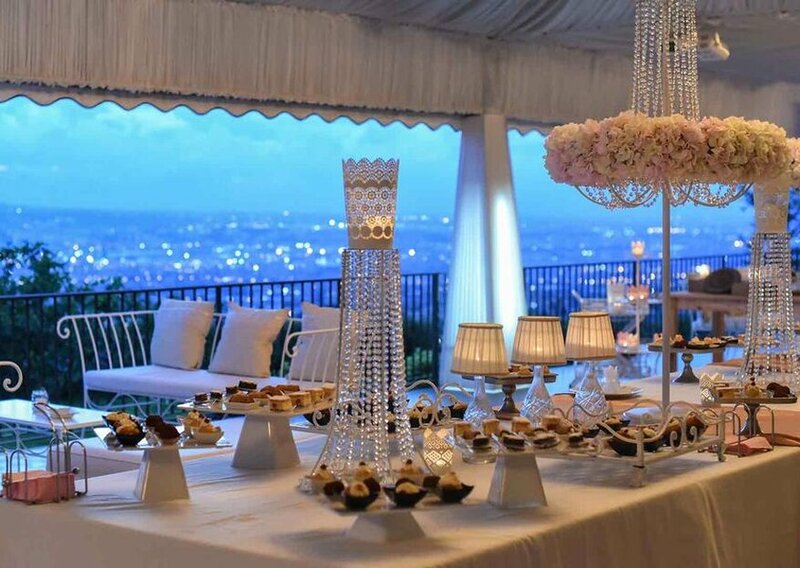 The exterior spaces can be carefully arranged to accommodate romantic outdoor banquets, island buffets, but also ceremonies with civil and symbolic rites surrounded by the beautiful landscape. 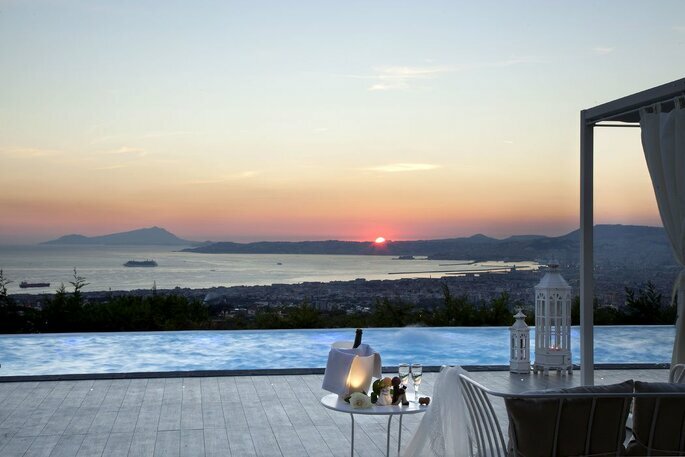 Its infinity pool and panoramic terrace will lend themselves perfectly for welcome aperitifs and the cutting of the cake. 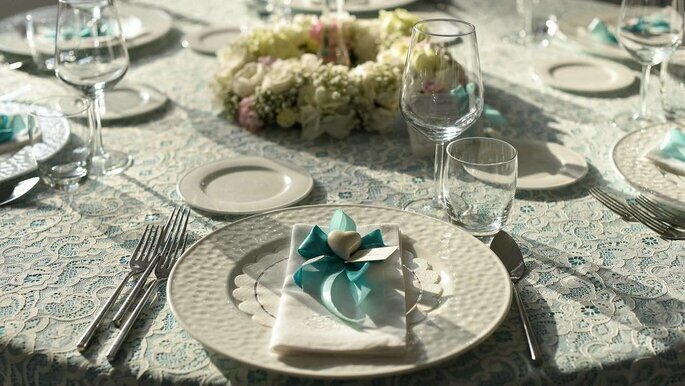 The villa also boasts an internal wedding planning service that will takes care of organising your big day according to your tastes and needs – with friendly yet professional expertise. 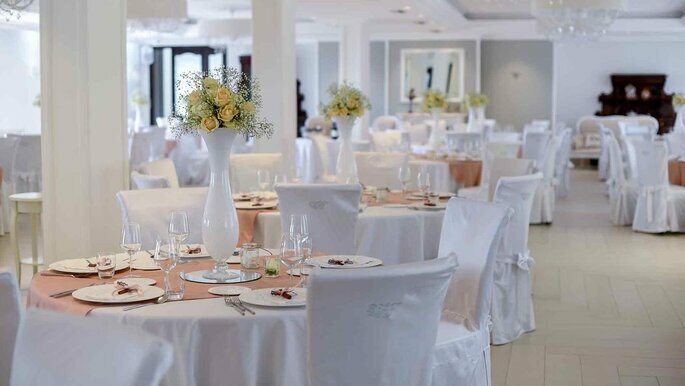 The refined settings, the personalised menus and exclusive services dedicated to the perfect day, are all status quo at this incredible venue. 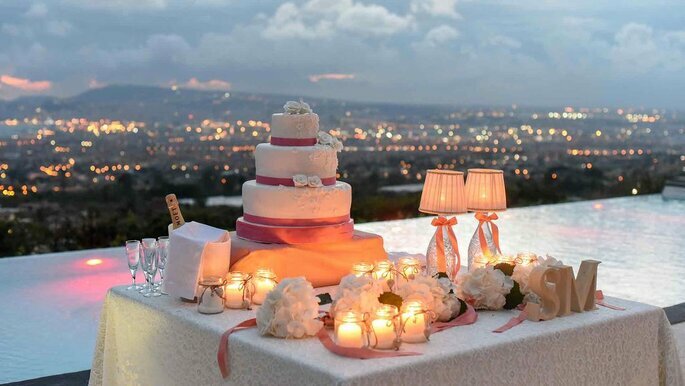 Villa Andrea di Isernia is distinguished by its hospitality – providing you and your guests with highly experienced staff for an impeccable wedding day. But that’s not all. In fact, just you wait until you taste the exquisite and creative culinary creations of this venue’s award-winning chefs. Authentic dishes are prepared with organic and seasonal ingredients, with wine pairings wisely chosen by expert sommeliers. 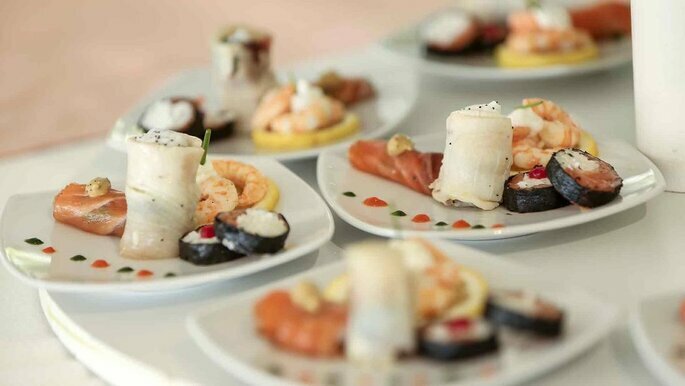 The chefs of Villa Andrea di Isernia take care not only to create a wedding feast rich in taste and authentic flavours, but a real gastronomic experience between the pleasures of traditional cuisine fused with innovation.